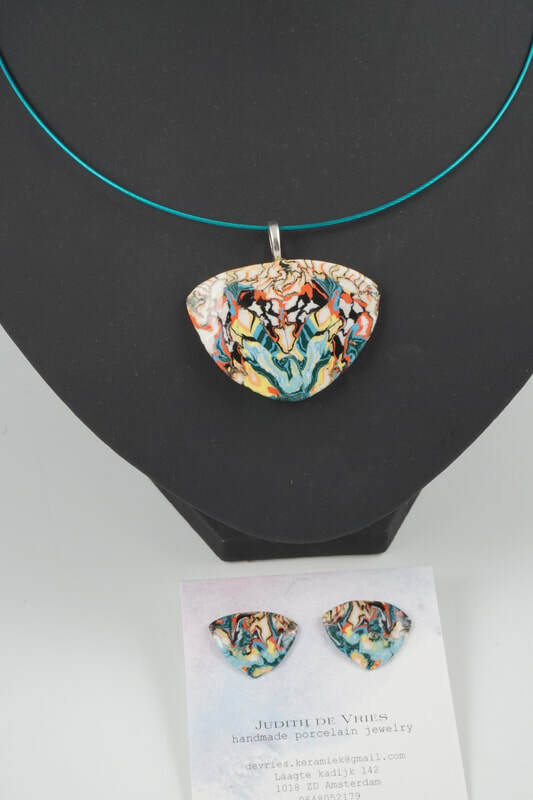 There is something special about wearing a strong yet elegant piece of porcelain jewelry. 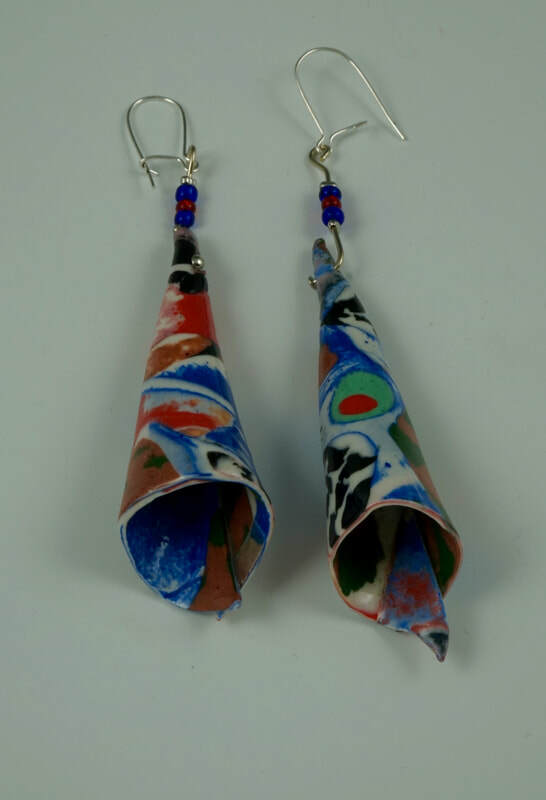 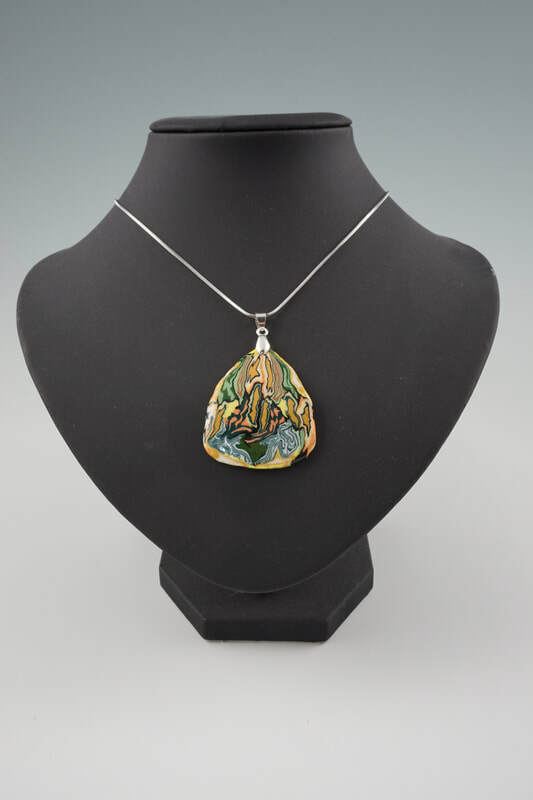 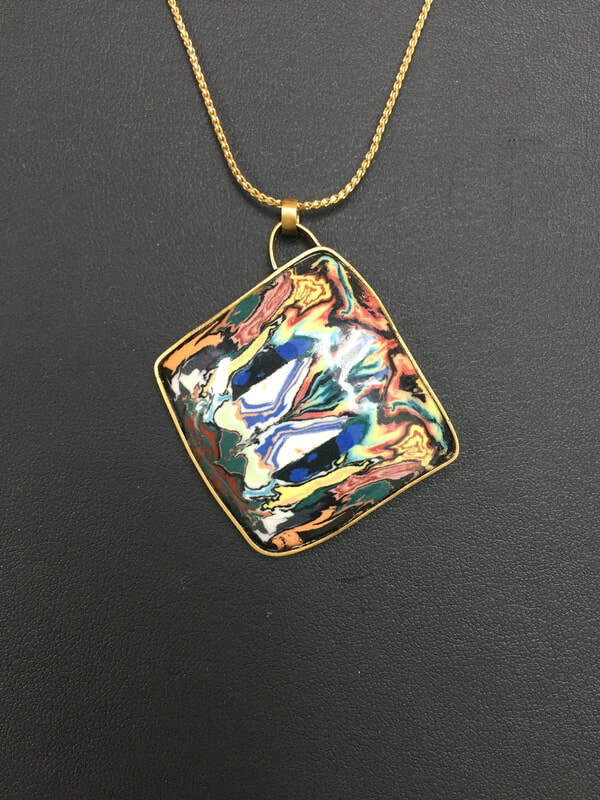 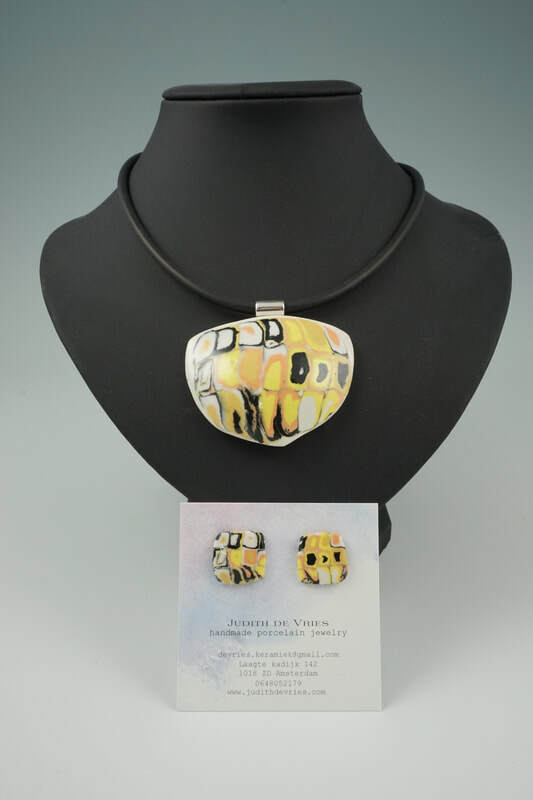 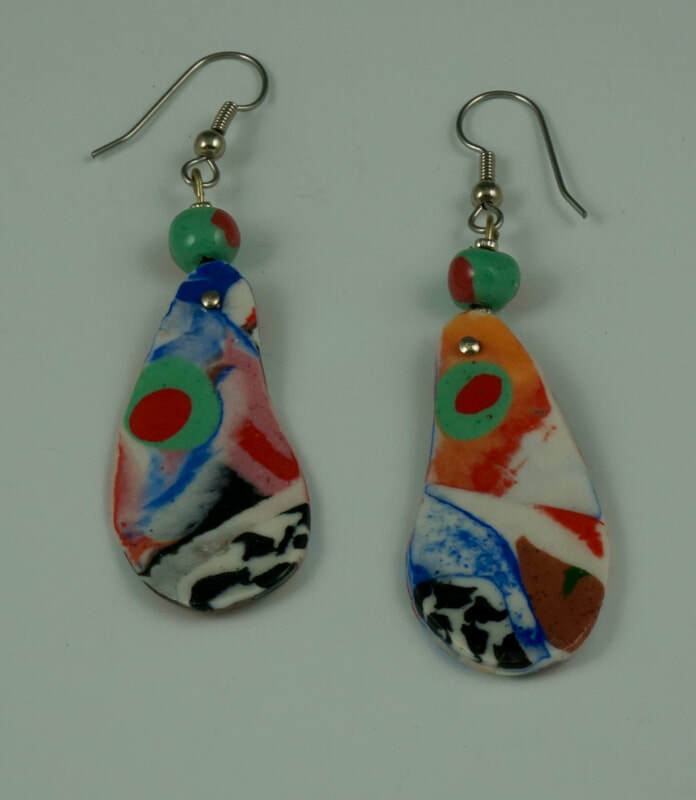 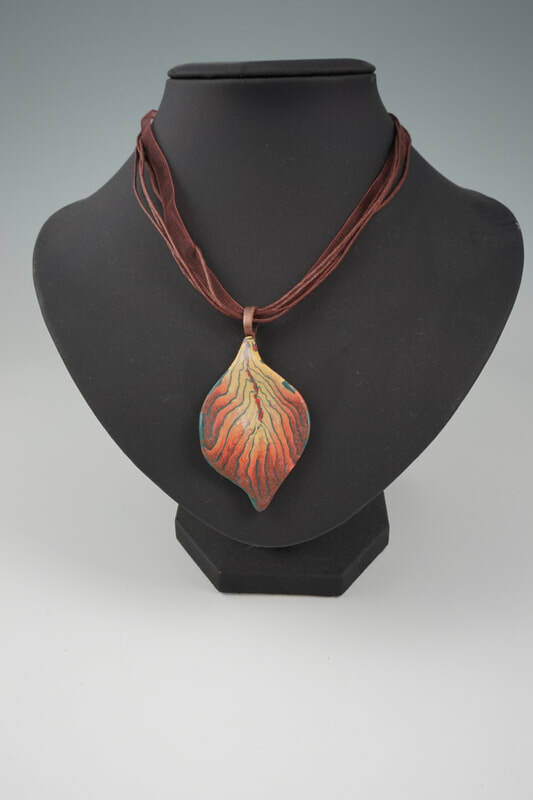 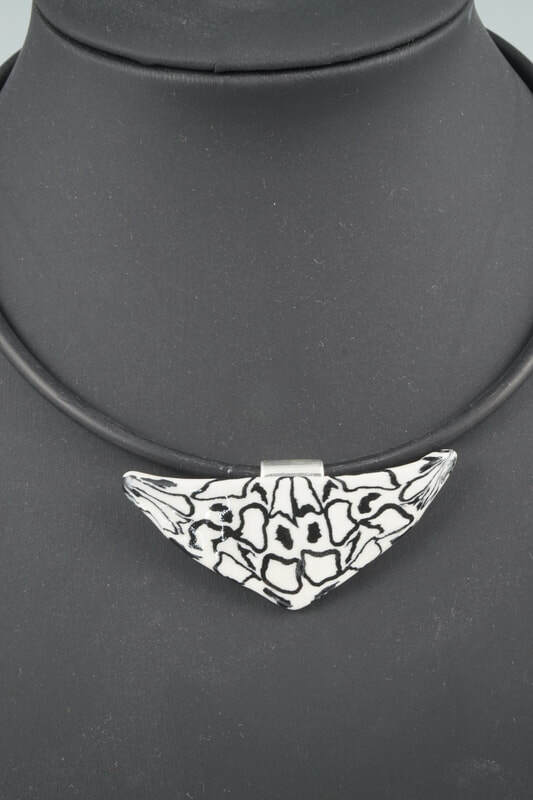 The blend of colours and form makes my work versatile to wear and always attracts attention. 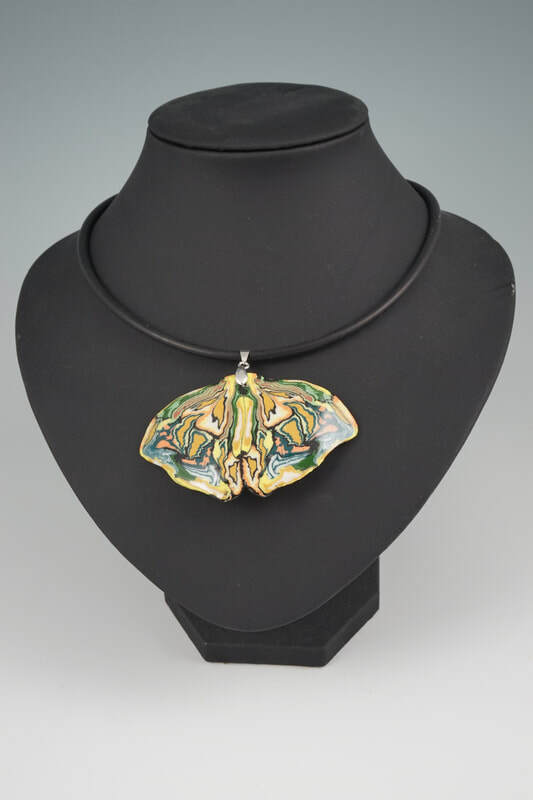 I make necklaces, earning and broaches with forms varying from ginkgo leaves to butterfly wings. 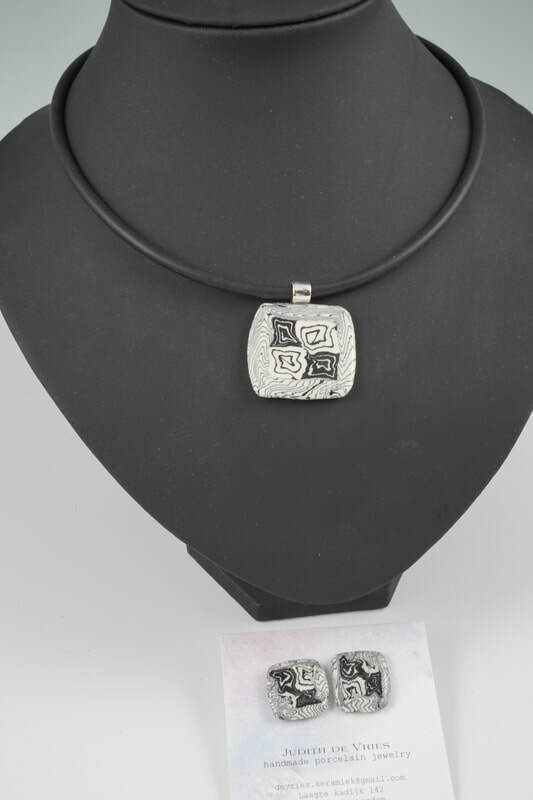 All earring settings are sterling silver and other fasteners are non-nickel. 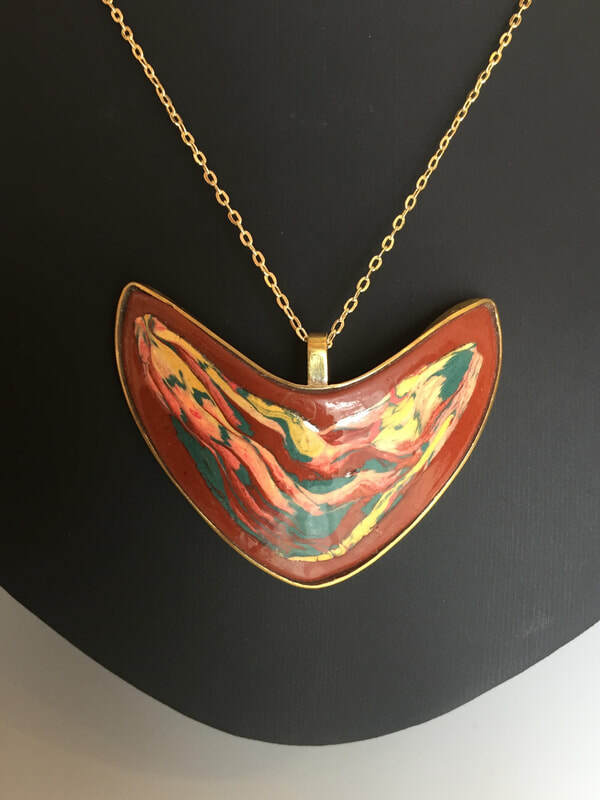 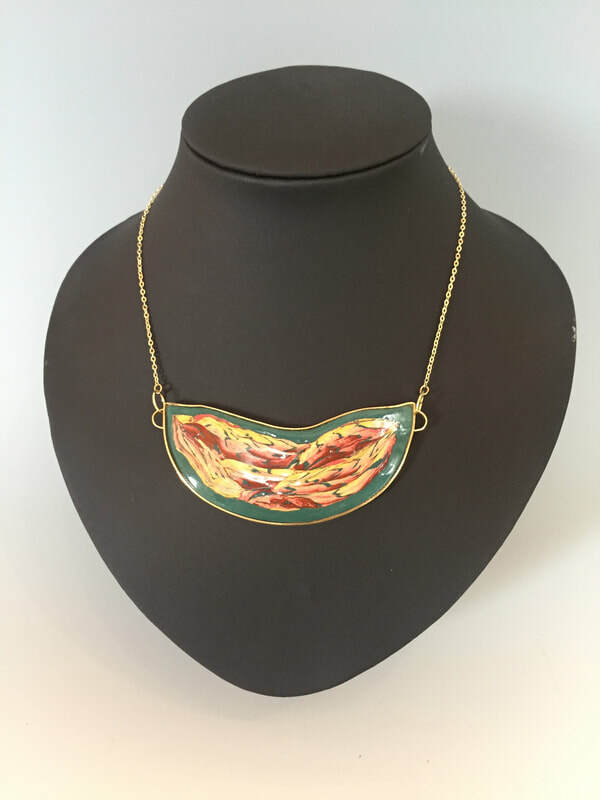 These wearable artworks make the perfect gift for a friend or a treat for yourself with a variety of colours to match every taste. 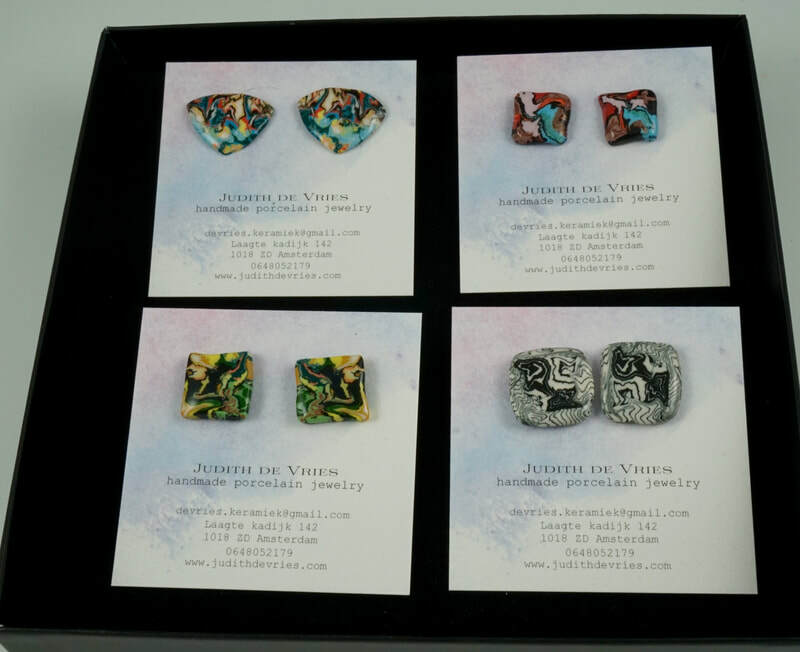 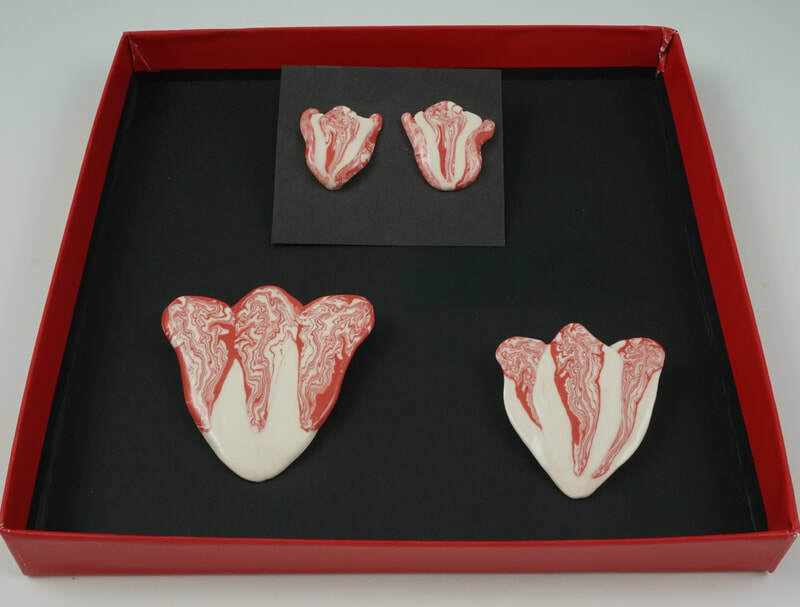 All jewelry comes in a beautiful branded black box and if you are making a purchase as a gift I can arrange with you to send it directly to the recipient and write out a personalized message to be included in the package. 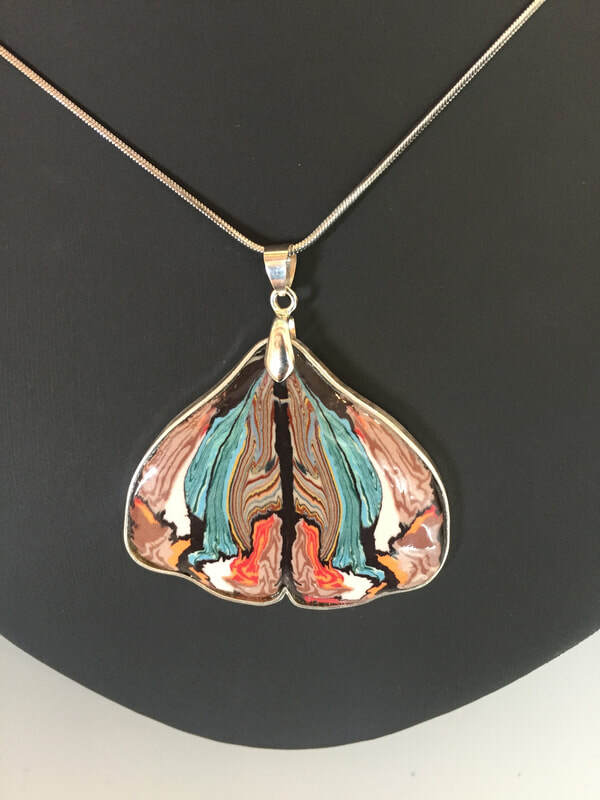 You can view my latest wearable art jewelry selection here or on my social media pages and if you wish to own a piece you can contact me via the Purchase page.